"There's too much confusion. 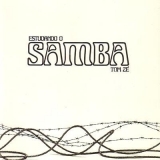 I can't get no relief"
Estudando O Samba (this album) (1976), Studies Of Tom Zé: Explaining Things So I Can Confuse You (compilation) (2010), Brazil Classics 4: The Best Of Tom Zé (compilation) (1990). Sorry, no matches on eBay for "A Felicidade Tom Ze".